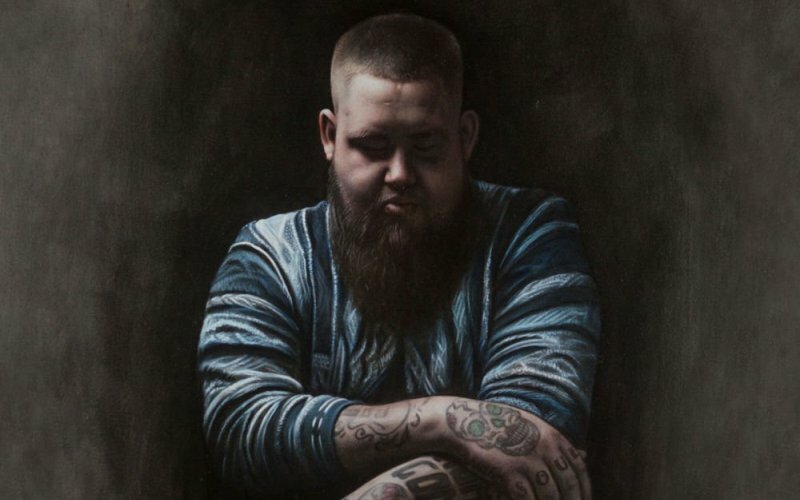 A life-affirming and bluesy expression that can’t be missed, Human has put Rag’n’Bone Man on the map. He’s grabbed the public’s attention and proved his stripes as a fresh-thinking singer within a rap scene searching for unique creativity and individuality. Also known as Rory Graham, Rag’n’Bone is a Sussex born singer-songwriter who started making his own raw drum‘n’bass music when he was just fifteen. He soon began performing his music at his local hip-hop clubs, especially Brighton’s famous ‘Slip-jam B’, where he met a lot of artists who helped him to develop his own unique blues inspired style. Graham grew up in Brighton and hops between there and a place in south London to put on small, intimate shows; “I like the dirty venues better – Brixton Jams is like home,” he told NME Magazine. A homegrown talent, Graham had been writing, recording and releasing his own music for years, making use of social media music platforms such as Bandcamp until he was noticed by UK hip hop label High Focus in 2011. Under the label, he began to professionally produce and release many of his tracks. After a few hard years honing his craft, with help from producer Mark Crew and even pop-rock band Bastille, he released an EP, Wolves through Best Laid Plans Records. The EP features nine bold and soulful tracks with guest vocals from equally as promising names, like rappers Stig Of The Dump and Vince Staples, and spoken word artist Kate Tempest. His first hit single, and the title track from the album, Human was released in July last year, and certainly lived up to the hype, gaining Gold Record certification in Germany, Italy, Sweden, Switzerland, Austria, Belgium and the Netherlands! It’s impressive, that not only did the release exceed all expectations in the Official UK Charts but in Europe too. So far, this year has only proved bigger and better with Rag’N’Bone winning the Choice Award at the 2017 Brit Awards. This success is highly deserved after his many nominations for the ‘newcomer’ awards in the circuit. The Brit Award has without doubt justified critics excitement for the future of this new branch of soul music, after his combination of ‘A little punk, a little jazz and a little shoegaze’ had only just entered the charts but made such a huge impression. The hip-hop scene isn’t just loving his music, but fans have fallen in love with his quiet modesty and super laid back attitude. He even confessed to preferring a night in with his girlfriend watching Eastenders rather than partying like the typical rap artist. Graham has his own style, adorned with cool tattoos; on his right hand one says ‘soul’ and on his left ‘funk’. Edgier still, in an interview with The Independent, he even boasted building a bar in his garden, joking about how it makes him just “so rock n’ roll,”. The guy clearly doesn’t take himself too seriously, an admirable quality for an artist breaking into a potentially life-changing industry that loves the fame. When asked about his vinyl releases, Graham replied that “It’s the best format, physically,” shown in his decision to produce a vinyl pressing for everything he has released to date. Human, Skin and As You Are are just three of the tracks on Human, all of which really worth a listen. But it is hard to pull out only a few track recommendations, from an album crafted so well and so impactful as a whole. Human is available on the musicMagpie Store now on both CD and in his much loved 12” vinyl edition. Now is a perfect time to get to know this promising artist, as the future only holds more fame and good fortune. ← Check out the latest offers on the musicMagpie Store: Buy One Get One FREE CDs, DVDs & Blu-Rays and more!